In the last episode of 2017 Caryn discusses the following topics: a Los Angeles Animal Services commission proposal to make shelter dogs vegan; dental hygiene; humans innate directive to be part of and support a larger entity; tips for digestive issues. 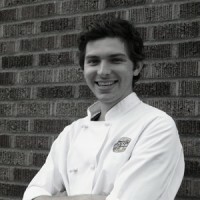 Tommy McDonald is head chef at Field Roast in Seattle, Washington. In their first official cookbook, Field Roast: 101 Artisan Vegan Meat Recipes to Cook, Share, and Savor, Field Roast executive chef Tommy McDonald teaches readers how to make their own grain meat, and shares dozens of plant-based recipes for every occasion, whether it’s a fuss-free weekday meal or a hearty holiday feast. From stocking the pantry with the right ingredients to tying a perfect butcher’s slipknot, from choosing the best sausage casing to successfully stuffing your roast, McDonald is there every step of the way to help first-timers and skilled chefs alike impress family and friends with vegan meals that are wholesome, satisfying, and delicious. Richa Hingle is the prolific and award winning recipe developer, blogger, and photographer behind VeganRicha.com and Best Selling Author of Vegan Richa’s Indian Kitchen. Her instructions are easy to follow and her step-by-step photographs welcome the uninitiated into their kitchen as vouched by many of her readers. 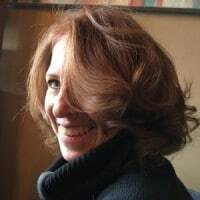 She loves to show people how easy it is to cook vegan Indian or other cuisines, which are allergy friendly and have gluten free and soy free options. 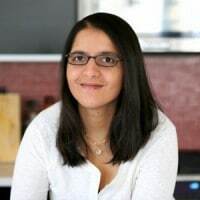 Richa has been featured on Oprah.com, Huffington Post, Glamour, Babble, VegNews.com, Cosmopolitan India, Femina India, TheKitchn, Cosmopolitan, MSN, BuzzFeed, and many more.